There is continued increase in the rate of cardiac implantable devices and so are complications associated with them which may necessitate their extraction. The common indications for lead extraction are lead infection, lead malfunction, lead upgrade, or retained broken leads. Different methods are used; most common are percutaneous but sometimes cardiac surgical help may be required. 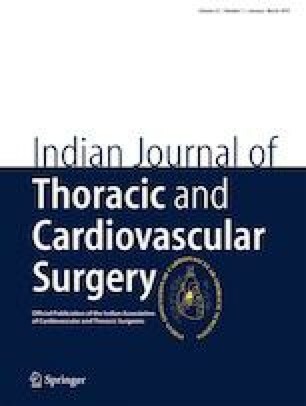 We present one such unique case where leads were not approachable through pacemaker pocket and sternotomy was required and stuck leads were extracted via innominate vein, pulling from either end.